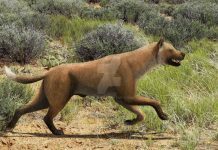 Dire Wolf was one of the largest ancestral canines to have ever walk the Earth. It lived approximately 240,000 years ago to 11,000 years ago – what is also known as the Rancholabrean North American Land Mammal Age. It was first discovered in the mid-nineteenth century and was named by Joseph Leidy in 1858. 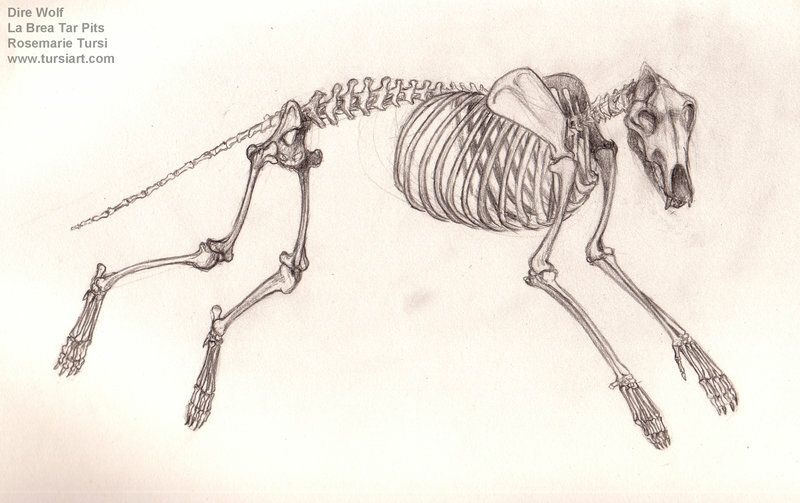 If you look at Dire Wolf pictures, then you might think that these animals were like large dogs. However, that wouldn’t be entirely accurate. While dire wolves are related to dogs, they are more like a distant cousin to them. Dire wolves are more closely related to Grey Wolves – a species in which all dogs are descended from. So while they aren’t a direct descendant to dogs, they are related. Dire Wolves were living comfortably in North America when Grey Wolves crossed the Siberian Land Bridge into North America. And while there is no evidence that these two species of animals were mortal enemies, it is probably likely that both of them competed for the same prey. However, Dire Wolves not only had to compete with Gray Wolves, but they also had to compete with Sabre-tooth Tiger. 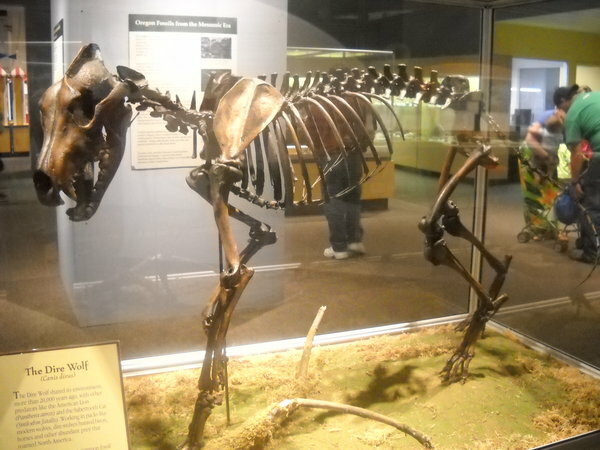 A thousand of Dire Wolf and Sabre-tooth Tiger fossils have been found in The La Brea Tar Pits of Los Angeles. 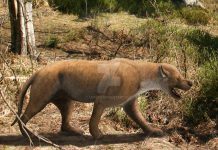 Not only did they share the same habitat and possibly hunt the same prey, it is also likely that they hunted each other! 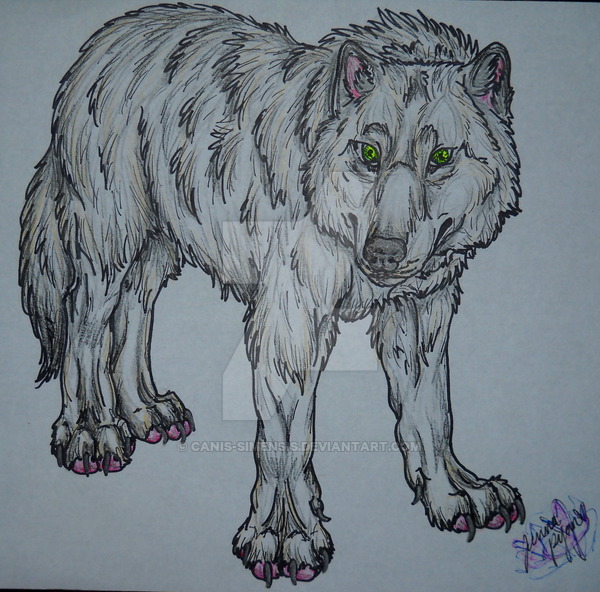 Some of the most interesting facts about the Dire Wolf is its size and weight statistics. 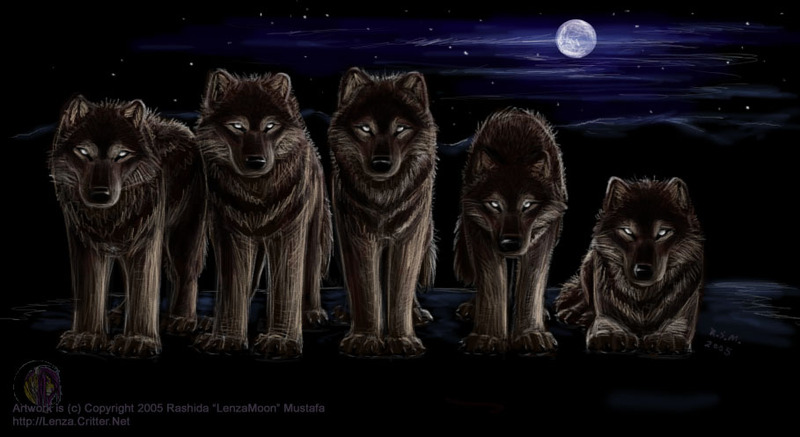 Dire Wolves were approximately 5 feet long and weighed around 150 pounds. That would have made them about 25 percent bigger than Gray Wolves. Which is approximately how much bigger they would have been as compared to the largest modern dogs. 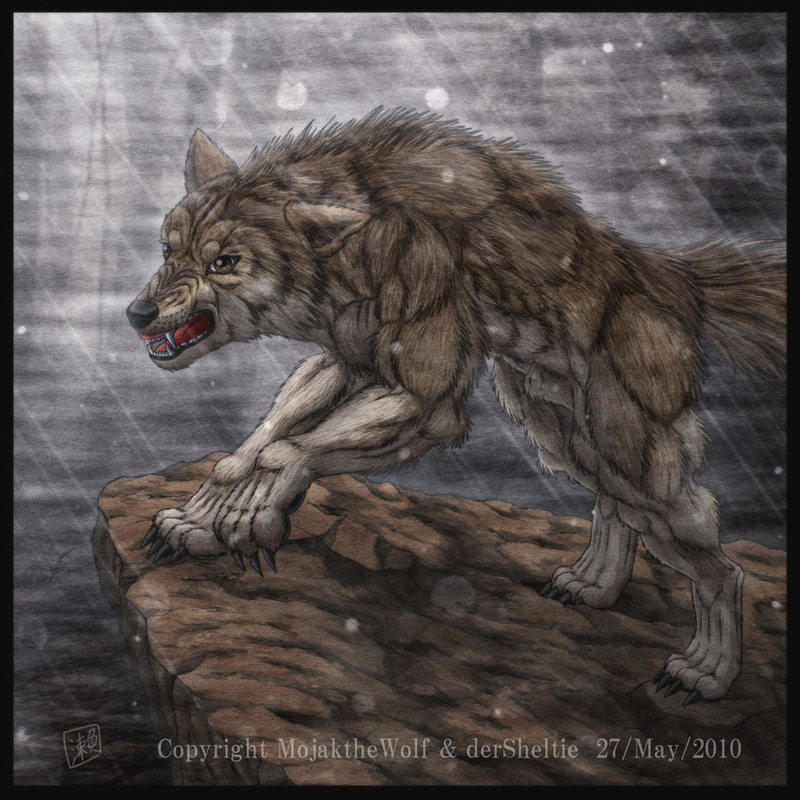 Another interesting fact about the Dire Wolf is they had a bite-force that could not only slice through flesh but most likely could break bones so it could get to the marrow inside them. Which is a pretty impressive feat considering Dire Wolves loved to eat horses. 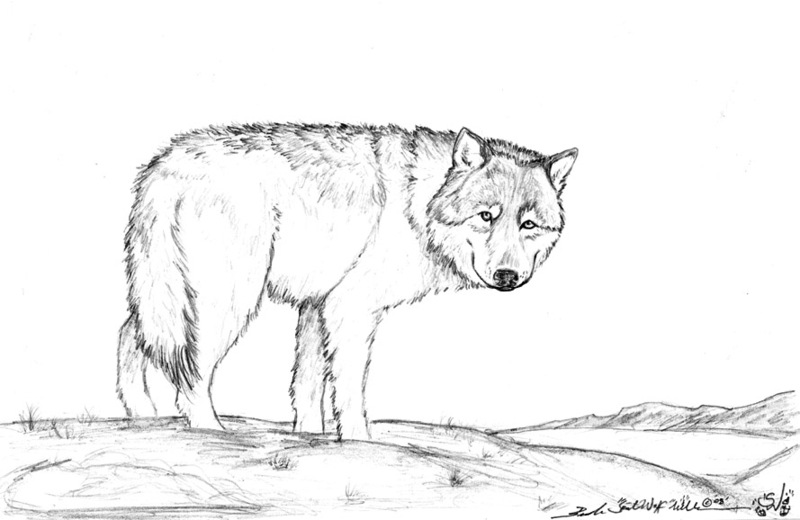 As was the case with a lot of animals which lived around the cusp of the Last Ice Age, the Dire Wolf went extinct about 11,000 years ago. And there were probably a number of reasons for why it did. The first reason is that humans probably hunted animals they depended on for food into extinction. The second reason is that humans also probably hunted them heavily. Those 2 factors would have been a perfect storm that the Dire Wolf just wouldn’t have been able to survive.